In ancient mythology, the Muses were nine goddesses representing the arts and sciences. Today, a muse is a person or force that serves as an artist's inspiration. 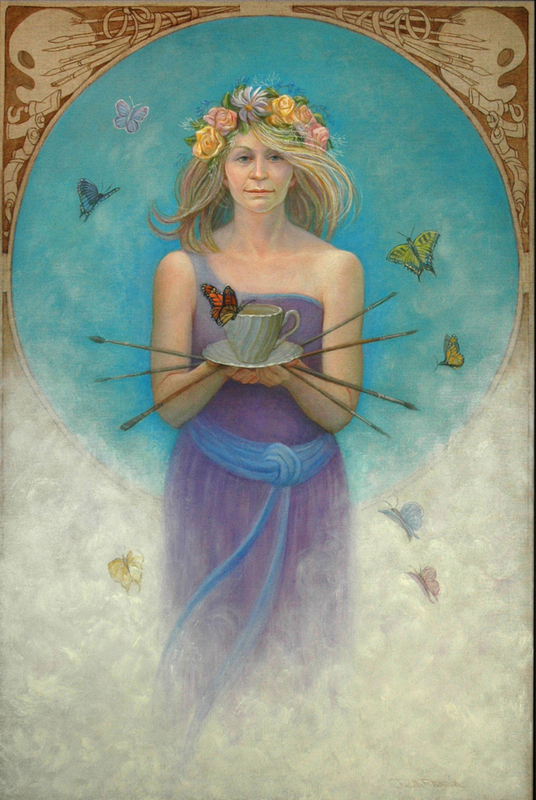 an Art Nouveau motif of artistic tools and colorful butterfly ideas, she offers encouragement through a bouquet of brushes and comforting cup of tea. 9" x 6"18" x 12"19.5" x 13"